The parliamentary elections in Ukraine has been lavished with praise by Western politicians and the mainstream media as confirmation of the country’s turn towards democracy and a rejection of Putin’s evil Russian empire. What the media drones and corporate politicians won’t tell you is that these elections represent a disaster for the ordinary people of Ukraine. Ukraine is bankrupt and its economy is rapidly collapsing. It has been promised billions in aid from the IMF and EU in return for the most vicious austerity measures that will make Greece look like a picnic. Industry and agriculture are suffering steep declines in production while austerity measures will lead to huge cuts in wages and welfare benefits. At the same time the rapid immiserisation of the masses is worsening due to massive price increases in basic foodstuffs and essential utilities such as electricity, gas and water. All of the capitalist politicians elected to the new Rada have no solution to these devastating economic problems. Their economic programme can be summed up in the slogan; ”Austerity, austerity and yet more austerity.” Western capitalism’s macro-economic reform progamme offers an extremely bleak future to the ordinary people of Ukraine. The election will return a government that is committed to continuing the war against its own people in the rebel held regions of Donetsk and Lugansk. It confirms the splitting up of the country into several parts. Crimea will stay with Russia while the People’s Republics of Donetsk and Lugansk which make up Novorossia will continue to fight for their independence, which leaves the rest of Ukraine minus about 15% of its former population. It would be more accurate to call this election the ”battle of the billionaires”. All of the political parties that got representation in the new Rada are puppets of the different billionaire oligarchs. It is these people who really call the shots in collaboration with their masters in Washington. There is nothing remotely progressive about the motley collection of ultra-nationalists who will make up the new Rada. Most of the new MP’s are rabidly right wing and ultra hostile to Russia, the breakaway regions of Donetsk and Lugansk, the trade unions, the Communist Party, the list goes on. It includes an assortment of Holocaust deniers and sympathisers for the Ukrainian Nazis who fought with the SS during World War Two. It would appear that even people wanted by Interpol for inciting terrorism and responsible for the Odessa massacre on 2 May, such as Right Sector leader Dmitry Yarosh, can be elected to the new Rada. Let’s take a few examples to show how deeply hollow are the claims that the new Rada will be committed to democracy and freedom. The People’s Front party of Prime Minister Arseniy Yatsenuk topped the poll with 22.2% of the vote. 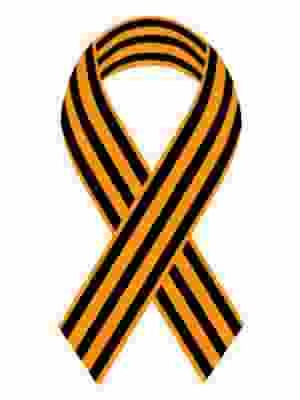 The People’s Front is closely allied with various volunteer battalions of neo-Nazis that have fought in the Donbass region committing war crimes against Russian speakers. Take for example the Aidar battalion which Amnesty International has accused of war crimes during the Ukrainian government’s summer offensive against Novorossia. Along with this bunch of murderers you have the ultra violent crazies found in the Radical Party led by Oleh Lyashko. The Radical Party received around 8% of the vote and 22 seats in the Rada. The coup in February that brought the CIA sponsored regime to power has meant psychopaths such Lyashko can go around illegally arresting people and taping himself torturing them with impunity. Amnesty International has called on Ukraine’s government to arrest Lyashko and his armed associates. Then we have newly elected MP Yury Bereza commander of the volunteer battalion Dnepr-1. Live on Ukrainian television he recently said that the volunteer battalions are ready to invade Russia and carry out acts of sabotage including the carrying out of bombings. This great democrat was criticised by a recent UN report that accused volunteer battalions including Dnepr-1 of violating international humanitarian law during the summer. In the absence of any Left alternative that can lead a fightback against the austerity measures demanded by Western capitalism the people of Ukraine face an almost certain revival of the civil war. The ultra nationalists who dominate the new Rada show no mood for compromise with the breakaway regions of Donetsk and Lugansk. A revival of the war will be used to try and distract the shivering masses away from their daily struggle to pay the bills and make ends meet. I recently spoke with Russian blogger Rozhin Boris, otherwise known as Colonel Cassad, whose indepth reports from the front lines of Novorossia shed a lot of light on military/political developments in this war torn region. The United Nations has recently estimated that over 3,660 people have been killed in the fighting in Eastern Ukraine. Could you describe the extent of the humanitarian crisis facing ordinary people in Novorossia? This assessment is very far from the reality. The armed forces of the Kiev junta have lost 12 to 18 thousand dead. They are responsible for the deaths of thousands of civilians. The militias of Novorossia have lost 5-6,000 dead. The total number of deaths is approximately 25-30 thousand with of tens of thousands of wounded militia members, civilians and junta soldiers. Officially more than 250,000 civilians have fled the Donbass, unofficially its over a million. The Donbass is facing a humanitarian catastrophe. Should the people of Donetsk and Lugansk regions be allowed to decide their own fate? The right of nations to self-determination has a long history in the region. When the Bolsheviks came to power in 1917 Lenin proclaimed this right for national groups living within the Russian Empire, and Finland gained its independence. Why do you think the US and it’s European allies steadfastly refuse to recognise the national aspirations of the people of Lugansk and Donetsk? The people of Donetsk and Lugansk have already decided in a referendum on 11 May (which was held in defiance of the will of the Junta, which had been against the referendum and against the will of Moscow, which had tried to stop it). The U.S. refused to recognize the new reality, because they are engaged in a hybrid war against Russia in the Ukraine, and the establishment of these republics they saw as the success of Russia, which is contrary to their interests. The fact that, in so doing, they are following double standards, recognizing the legitimacy the secession of Kosovo from Serbia and not recognizing the legitimacy of Donetsk and Lugansk from Ukraine. This is their normal practice for the protection of their national interests. The return of Crimea to the Russian federation is being used as the pretext for economic sanctions against Russia. Do you think these sanctions will have any significant impact on the policies/actions of Russia with regard to Novorossia? These sanctions already had some impact, forcing Russia to recognize the legitimacy of the Kiev junta and to abandon the idea of open-ended input to support the People’s Republics of Donetsk and Lugansk. There is an effective limit to this pressure, as Russia in spite of the threats from Obama to capitulate does not want to and will not do so. Further sanctions will only escalate the confrontation. Their economic impact will increase, but the political component will fail. The Poroshenko regime launched an ATO (Anti-Terrorist Operation) in June designed to eliminate the “terrorists” in Lugansk and Donetsk. Throughout the summer it made numerous claims that it was defeating the self-defence militias of Novorossia and that by 24 August 2014 the ‘separatist forces’ would have been crushed. However, it is obvious this has not happened. Can you tell us why Poroshenko has failed in his military objectives? The Ukrainian army had the overwhelming superiority in numbers of men and technology. Despite some tactical successes the Ukrainian army has suffered a series of disastrous military defeats, which lost thousands of soldiers, dozens of fixed-wing aircraft and helicopters, and hundreds of pieces of armour. The main causes of defeat were: low morale of the Ukrainian army and punitive battalions of the National Guard, poor condition of its logistics and intelligence, resilience of the infantry militia of Novorossia, military-technical assistance on the part of Russia, and the incompetent command of the Ukrainian minister of defence. During the summer the Western media was full of warmongering articles screaming for more and more sanctions on Russia which had allegedly invaded Eastern Ukraine. Since the Minsk ceasefire agreement the Western media has gone fairly quiet on the issue of the war against the people of Novorossia. Has the ceasefire agreement led to a cessation of hostilities against the people of Novorossia? Sanctions against Russia had been in force before the present hot phase of the war on the Donbass and therefore the participation of Russia in support for the militia of Novorossia. Russia is being punished by sanctions for the accession of Crimea and its support for the uprising in the Donbass. The Minsk agreement has not ended the war simply the intensity of the fighting has fallen. Nevertheless, almost every day artillery of the junta has shelled the city of Donetsk, almost every day it has killed civilians and militiamen, on some days – tens of people. The militia in turn continues to attack parts of the junta’s armed forces causing her serious losses, which are sometimes in the tens per day. The Kiev regime is confronting a series of crises. It faces a collapsing economy that will be compounded by the massive austerity cuts demanded by the IMF and EU. Secondly, it faces an energy crisis due to its refusal to pay its gas debts owed to Gasprom. Finally, it faces a military crisis due to the defeats it suffered in late August. There are elections looming in Ukraine on 26 October. How likely is it that Poroshenko will launch another military offensive against Novorossia after the elections? There is a strong chance that there will be an offensive after the elections with a view to raise the government’s poll ratings by tactical victories on the front. Strategically, the war is being driven by the US, within the framework of its continuing confrontation with Russia. The Kiev junta needs a war against Novorossia to distract the Ukrainian people from increasing socio-economic problems and it will carry on trying to solve the ”problem” of Novorossia by force. How significant are the activities of Neo-Nazi groups in Ukraine? Over the last year groups such as Svboda and the Right Sector have been used to help overthrow Yanukovich through the Maiden protests. They have been used to attack trade unionists and members of the Communist Party and small socialist groups, such as Borotba. Besides this, they have been used to intimidate and attack Russian speakers in Eastern Ukraine. Neo-Nazis have played a significant role in the various volunteer battalions that have committed war crimes against Russian speakers in the Donbass. Many people on the Left in Europe dismiss these groups as insignificant. What do you think? Fascist groups are fighting on behalf of the Ukrainian billionaire oligarchs and are used to implement their policy objectives to suppress the working class. The billionaire oligarchs openly seized power, refusing even the shortest period of power sharing with the politicians who are puppets. The country is now openly managed by the oligarchs who are dependent on American imperialism. We can see that for fascism, communism remains its worst of enemies. Ukrainian fascists are infected with primitive racist attitudes towards Russian speakers. Ukrainian fascists get support from their media. In Europe part of the left does not understand the threat posed by fascism in Ukraine due to political blindness. From my point of view, any modern people of left or communist views are obliged to one degree or another to take part in the fight against the Ukrainian fascism, as it threatens not only the people of Ukraine, but also threatens to plunge the world into a major war. The war in Eastern Ukraine has led to an influx of foreign volunteers going to fight for the self-defence militias of Lugansk and Donetsk. According to a report in August by Paula Slier of Russia Today a brigade of international volunteers is to be formed called ‘United Continent’. Do you think parallels can be drawn between this force and the International Brigades that fought against fascism in the Spanish Civil War in the 1930s? First you need to understand that the major part of the army of Novorossia are local residents. Volunteers from Russia make up about 10-15 % of the militia. 1-2% of the volunteers who serve in the militias come from other countries – the US, Germany, Italy, France, Spain, Brazil, Colombia, Serbia, Belarus, Kazakhstan, Abkhazia, South Ossetia and a number of other countries. The main motivation of these people is to fight against fascism. With the increase in the number of left-wing and communist units in the armed forces of Novorossia (especially in the mechanized brigade, known as the “ghost” Alexey think-tank, which openly advocated the elimination of large capital), this analogy with the International Brigades has become even more apparent. It is understood that, in combat units there are people with different political and ideological views – in one battalion can be found Christian believers (Orthodox, or Mormons), and atheists, communists, and anarchists. The fight against Ukrainian fascism has drawn these seemingly polar ideological and political currents together. It is therefore to strengthen the Armed Forces of Novorossia that Lenin portraits can peacefully coexist with icons. One commander who does not love communists, can still raise people in an attack with screaming, “For the Homeland! For Stalin! “. For many in the the Russian Federation and Europe – this is not just a war, this is our Spain 1936-1938. The present bloody war reflects the profound contradictions of the contemporary global capitalist world.